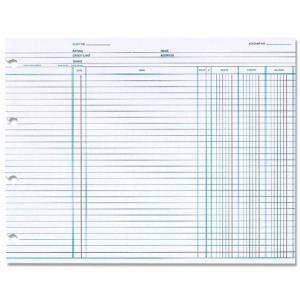 Regular ledger sheets are printed on both sides with 30 lines per page. Faint colors make figures stand out. 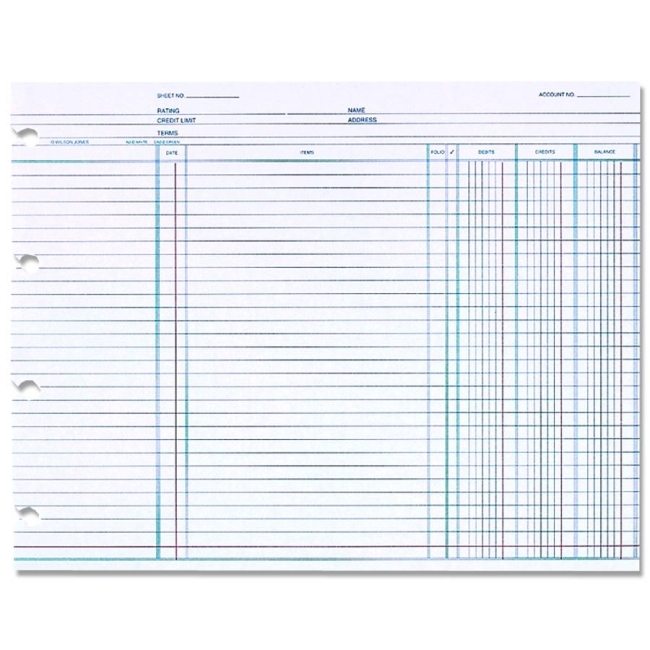 Sheets are punched for use with post binders with 2-3/8" inside and 7-1/8" outside centers.